July 29, 1917 - December 5, 2017 Sandy, Oregon resident, Virginia W. Spooner, passed away December 5, 2017 at age 100. 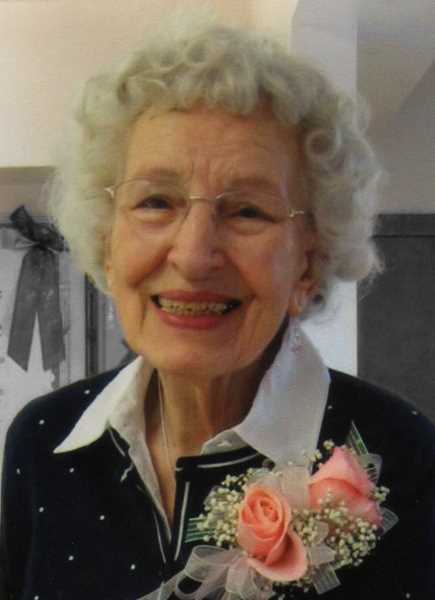 Sandy, Oregon resident, Virginia W. Spooner, passed away December 5, 2017 at age 100. Her loving husband of over sixty years, Dan Spooner, preceded her in death. She is survived by her children Dan (Susan) Spooner, Janaan Aden, and "adopted son" George Hasely Jr. (Gail); she also leaves six grandchildren Becky (Michael) Corwin, Amy (David) Ellis, Rachel (Garrett) Ianacone, Sarah (Phil) Bobnick, Katherine Aden, Nathan Aden; and 4 great- grandchildren. A funeral service was held on December 12, 2017 at 1:00 PM at Sandy Funeral Home followed by a graveside service at Firhill Cemetery in Sandy. Sandy Funeral Home is handling arrangements.